Above all else, guard your heart, for everything you do flows from it. Pro 4:23 I hope this helps! Negative people, gossip, putting people down just because of the political views they stand on, you don't have to go very far to get your daily dose of negativity! Immersing ourselves in so much negativity and allowing it to be "poured into us" can rob us of our joy, trust and peace. Of course many times you can't always avoid negative circumstances, it is something you just need to walk though, trusting in God's unfailing love and knowing He is already there in the mist of your circumstances-keeping our eyes on Him even when the road looks so very dark and we can't see what's ahead. Being inquisitive as I am I began to look at the people that shot the photos and took videos of these birds. I found that they were watching the same birds every day that came in their own back yards. They created beautiful gardens and a friendly place for these beautiful birds. Many of these birds are lovingly named and have strong distinctive personalities. To my amazement they knew these birds inside and out and these birds knew them. Many of these hummingbirds trusted them so much that they would eat out of their hands. The daily drama of this hummingbird haven is watched and written about every day. An island of happiness in the midst of a dark world enjoyed by a few dedicated observers. 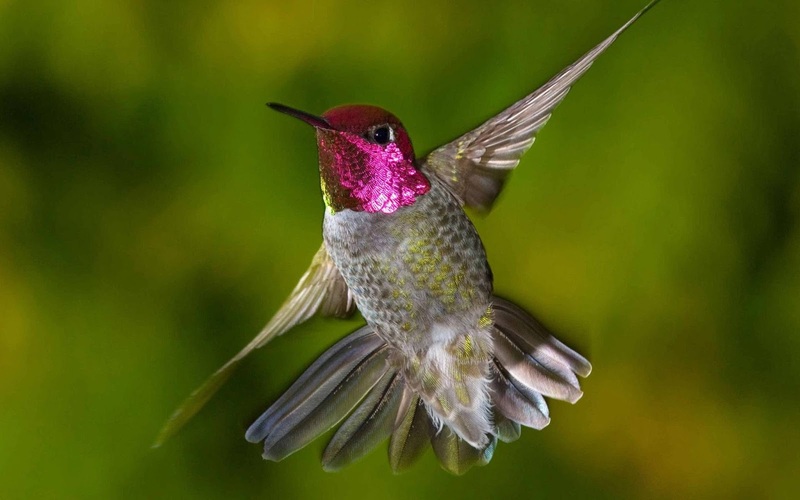 While hummingbirds are the tiniest bird in the world, they can fly sideways, up and down, and hover in mid air. They fly an average of 25-30 miles per hour. They are very smart and remember every flower in the garden (but can't smell them) and they know how long it takes each flower to refill. 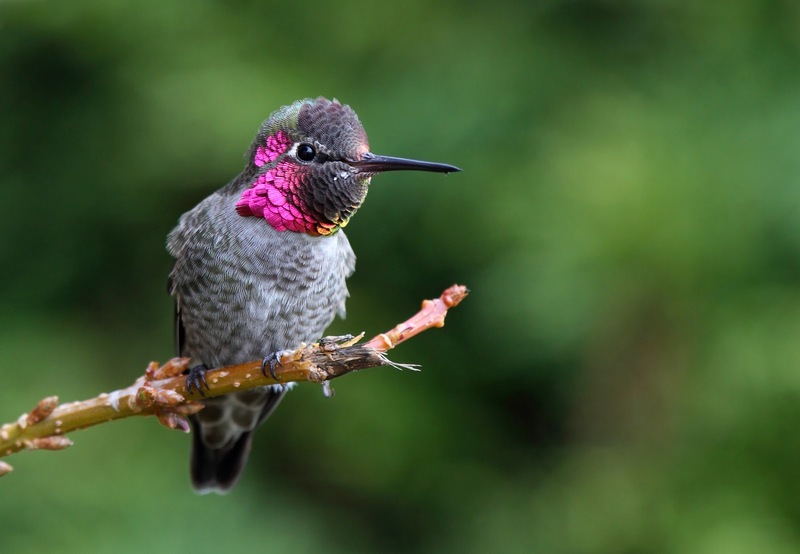 Hummingbirds can see and hear better then humans. 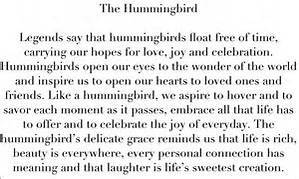 The hummingbird must be the definition of whimsy! "God’s tiny miracle, evidence of careful design, enjoyment of life, lightness of being,love, joy and beauty, adaptability, resilience, being present, independence, playfulness and joy in daily life." Hand embroidery that I am working on for a show. Cotton threads on wool.